FORGET the Grand Bazaar. 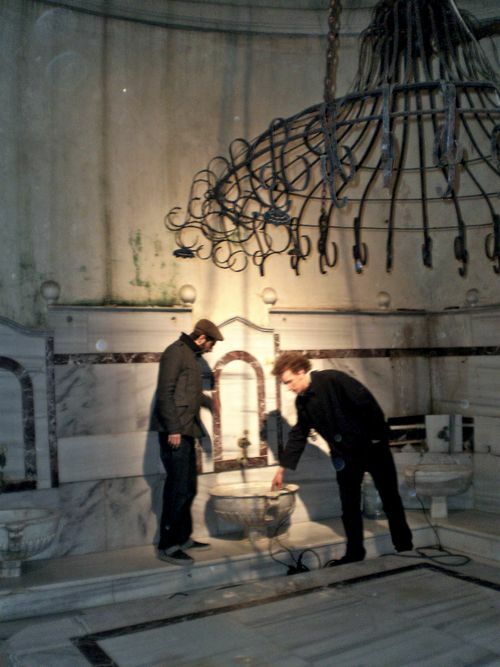 If you want to return from Istanbulwith truly memorable souvenirs, head over to the winding streets of Cukurcuma, the city’s funky antiques district, where you can get anything from camel saddles to decorative brass faucets from defunct Turkish baths. 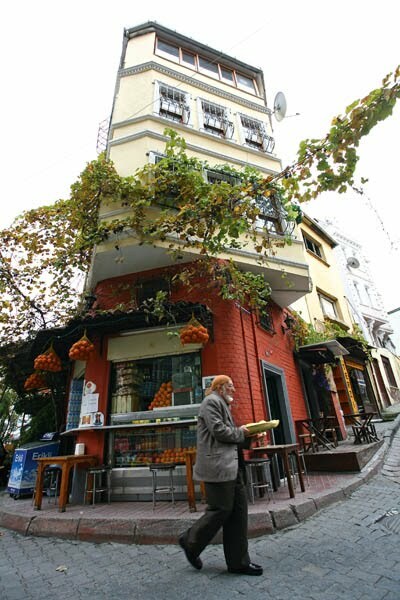 Set in the heart of Istanbul’s artsy Beyoglu quarter, Cukurcuma (pronounced chu-KUR-ju-ma) has been flirting with gentrification for several years, its graceful but decaying early 20th-century buildings slowly getting face-lifts. But the neighborhood, once home to a large Greek community, has managed to keep a balance between its original flea market charm and newfound respectability, with musty shops overflowing with Ottoman-era knickknacks next to new galleries and designer boutiques. 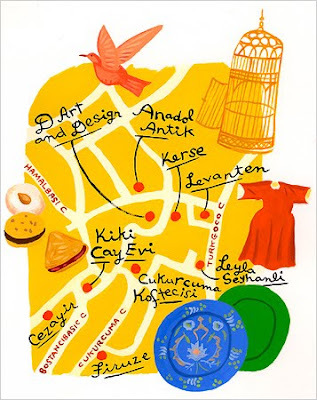 A good place to start is the sprawling Anadol Antik(Turnacibasi Sokak 65; 90-212-251-5228), a shop that could easily double as an ethnographic museum of Turkish village life. An antique ox cart or floral-carved wooden door might be a little difficult to carry home, but there are plenty of portable objects like old wooden birdcages and colorful ceramic dishes, from 120 to 240 Turkish lira, or about $100 to $200 at 1.21 lira to $1. 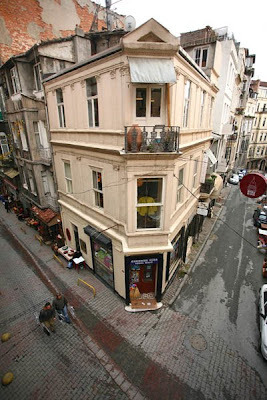 The tiny and tidy Levanten (Aga Hamam Sokak 33; 90-212-244-1965) is in contrast, like a glittering jewel box, stocked with choice collectibles like antique cigarette holders made of amber and other precious stones. The owner, Melih Gulay, can be a bit aloof, as if he would prefer not to part with his merchandise, but his taste is impeccable. Cukurcuma’s unvarnished flea market vibe lives on at the shoebox-sized Firuze(Haciosman Cikmazi 1; 90-212-245-7245), a glorious mess of a store. The shop’s cluttered shelves hold numerous treasures among more mundane junk, like stacks of handmade copper plates and bowls, vivid enameled plates and antique cowbells, 30 to 50 lira. several designer boutiques have opened in recent years, drawn by the area’s bohemian vibe. Kerse (Faik Pasa Yokusu;1/A; 90-212-249-3561) sells 1960s-inspired handbags and hats, made out of felt and other fabrics by Mine Kerse, a young Turkish designer, in her tiny upstairs atelier. Across the street is the one-year-old D Art and Design (Faik Pasa Yokusu. 6/1A; 90-212-249-8091), a contemporary arts gallery that shows up-and-coming Turkish artists like Devran Mursaloglu and Yasemin Ozkaya. Limited-edition lithographs sell for 50 to 150 lira. And if all the shopping makes you hungry, Cukurcuma has a few good restaurants, although the area is not known as a dining destination. For traditional Turkish fare, stop by the cozy Cukurcuma Koftecisi (Hacioglu Sokak 1/A; 90-212-245-0833), where a classic combo of kofte (grilled meatballs) and piyaz (white bean salad) will set you back 8.50 lira. For dessert, pop into Kiki Cay Evi (Faik Pasa Sokak 30/A; 90-212-244-8759), a tiny new cafe that bakes its own cookies and cakes and serves 18 different kinds of teas. But if you’re looking for something a bit more stylish, wander over to Cezayir (Hayriye Caddesi 16; 90-212-245-9980; www.cezayir-istanbul.com), a restaurant housed in a 107-year-old Italian schoolhouse where old and new Istanbul seems to meet. It serves clever updates of classic Turkish dishes, like a ceviche made with Black Sea anchovies and fava bean purée flavored with anise liquor (entrees 15 to 25 lira). 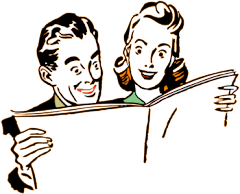 Afterward, lug your shopping bags to the cozy bar for drink, while you contemplate how to get your new camel saddle back home.